InterCity 'Swallow' livery was introduced in 1987 as an update to the then much recognised InterCity 'Executive' brand used for high-speed long distance services in the UK. 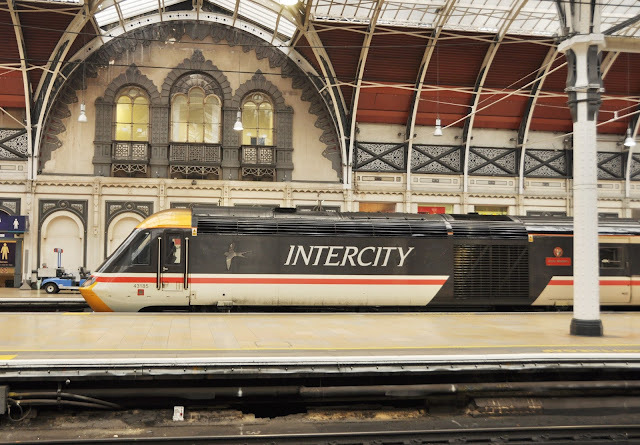 The colour scheme was to feature on many locomotives and long distance train sets including the premiere InterCity 125 and the new Intercity 225 fleets. 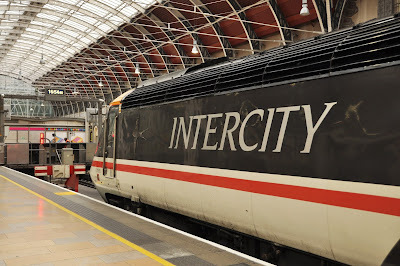 When Britain's railways were privatised in 1996 the livery was prevalent on much of the countries long distance stock, however by the early 2000's it had mostly been replaced by the various new colour schemes of the private companies. Since then the scheme has made occasional appearances on heritage locomotives both in preservation and on the main line. Notably Virgin Cross Country painted 47826 'Springburn' back into InterCity Swallow in 2002 as part of it's commemoration of the end of loco-hauled services on Cross Country. 31454 was another regular performer in the livery at this time, being re-painted by Fragonset Railways to match the Mk2 coaching stock which it was using to provide spot hire services, while 37685 was maintained in the livery by EWS. 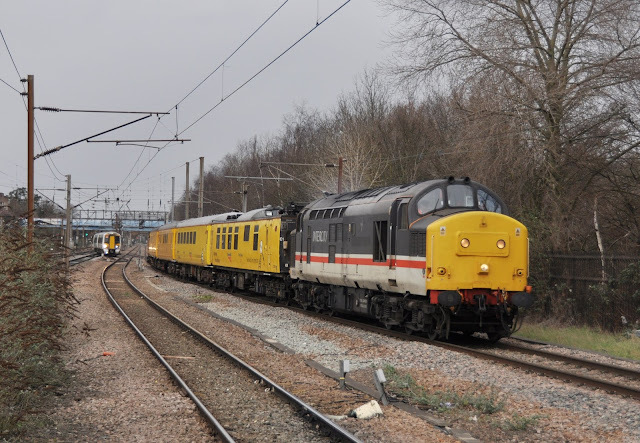 In 2017 there are currently two locomotives wearing heritage versions of the InterCity Swallow livery; 37254- currently in use with Colas Rail which retains it's preservation paint scheme until such time that it can be released for a re-paint into Colas colours, and 43185 with Great Western Railway. The HST power car has been vinyl wrapped as part of celebrations of the HST's on the Great Western prior to their replacement with new Hitachi Inter City Express units starting from this summer. If, like me you are a fan of this livery, you should act fast- it doesn't look like either of these trains will be around in these colours for long.